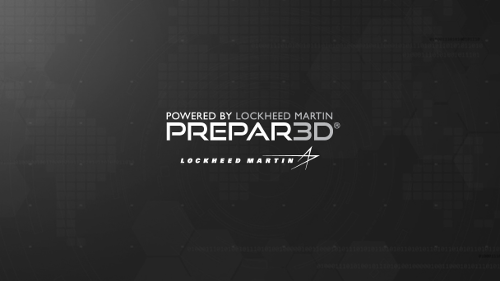 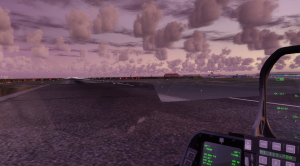 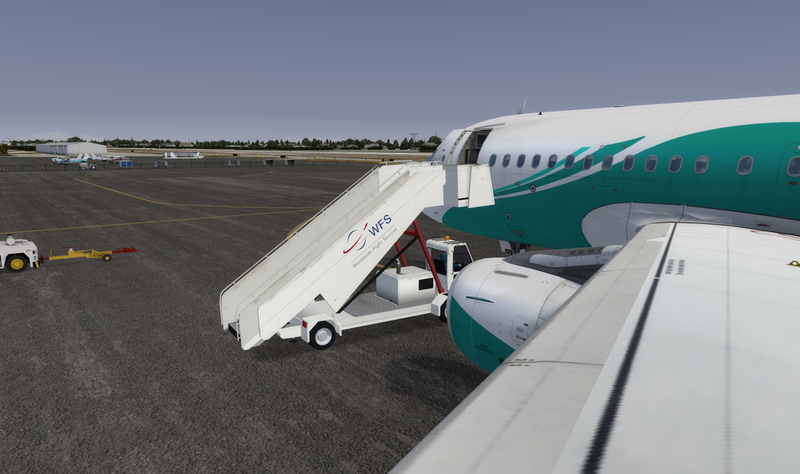 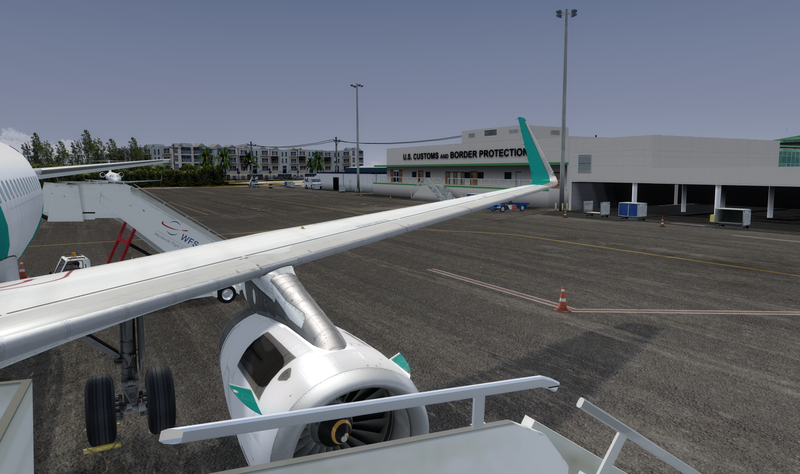 Here are my first picture with the all new Prepar3D V4 with all full “Compatible” addon. 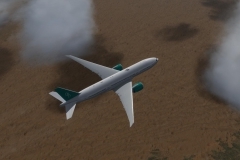 The new rain particules are very nice! 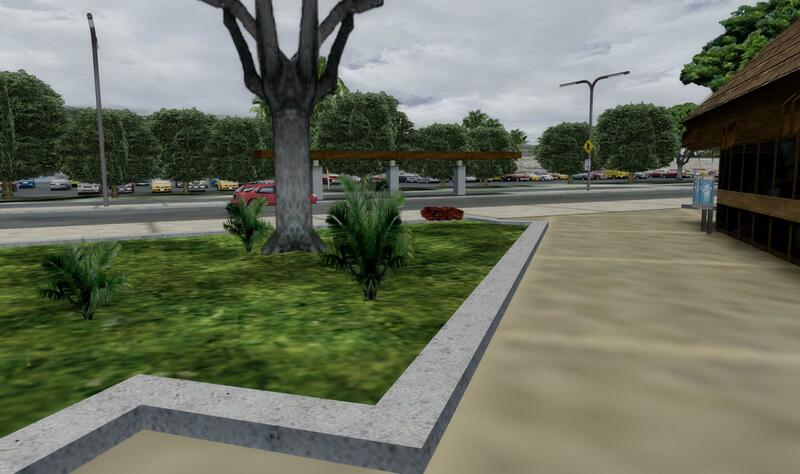 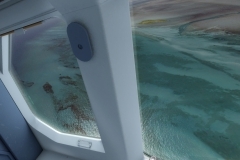 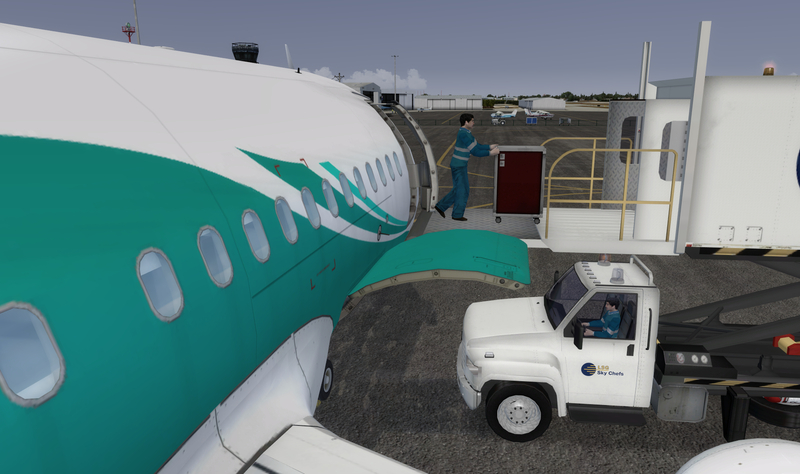 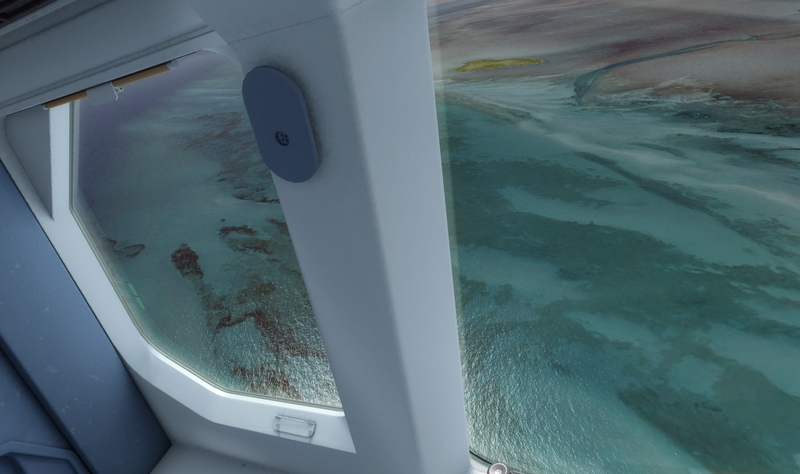 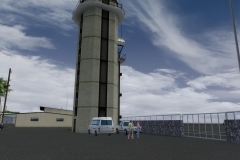 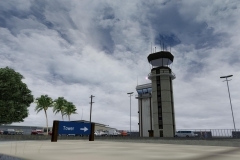 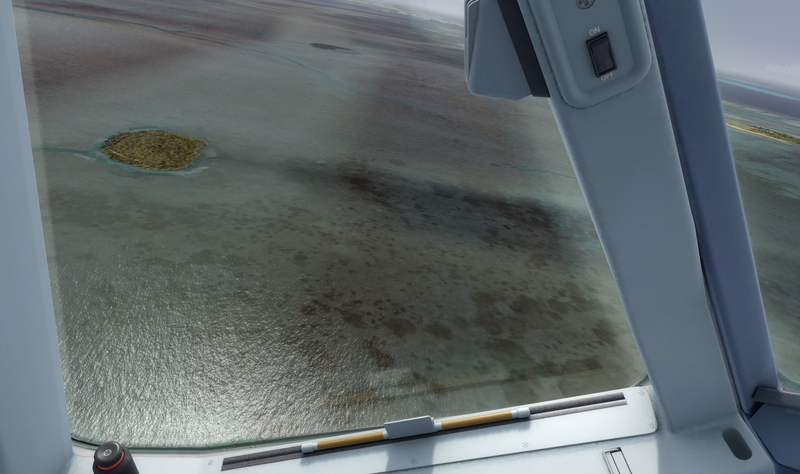 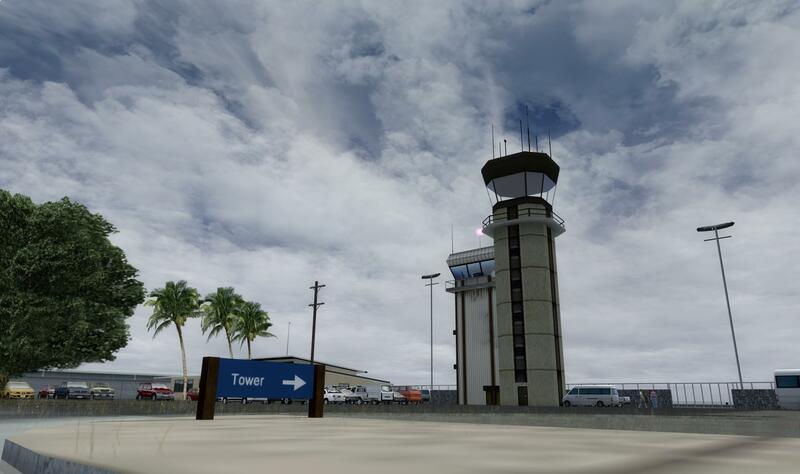 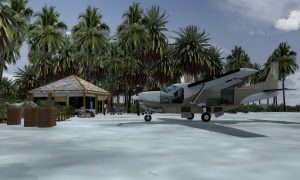 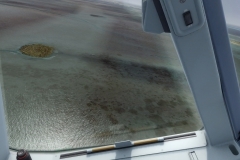 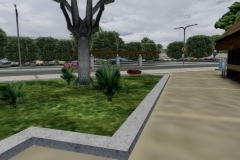 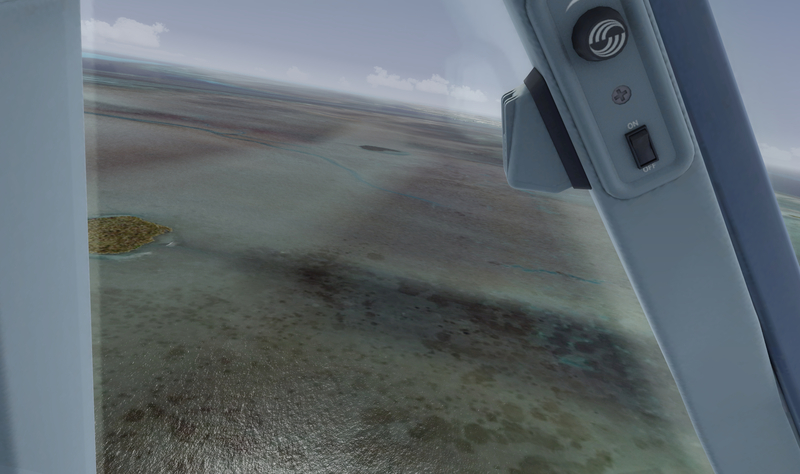 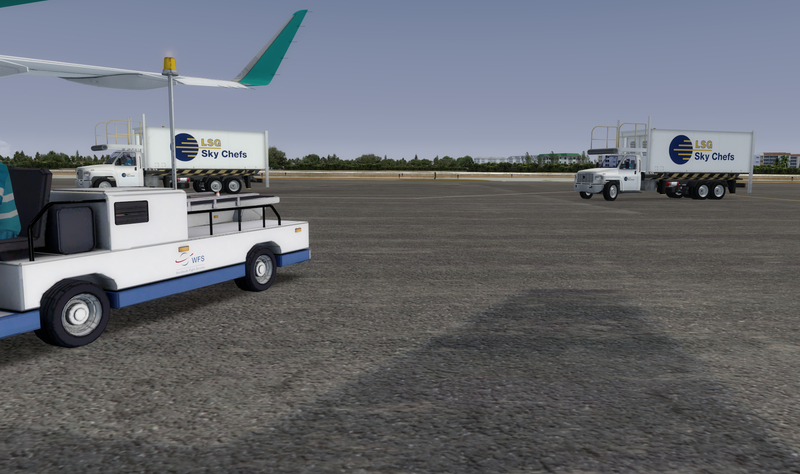 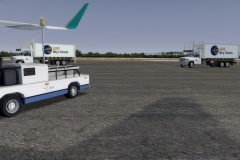 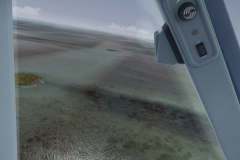 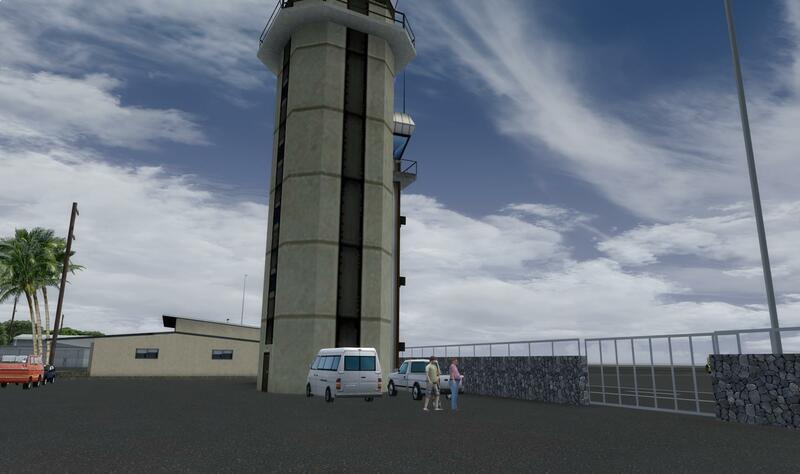 The Twin Otter Extend from Aerosoft in Saint Maarten TNCM from FlyTampa. 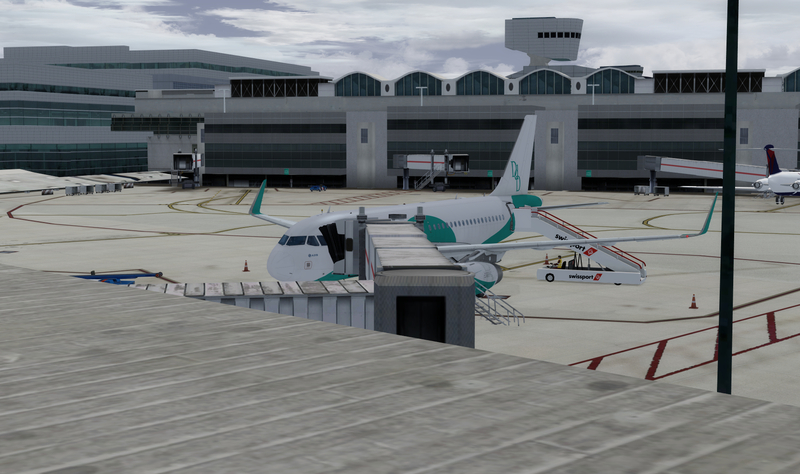 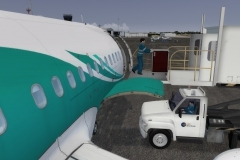 I reported an issue to FSdreamteam because the Twin Otter makes GSX / Coualt crashing from any airport. 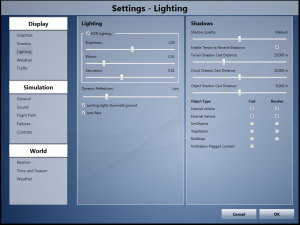 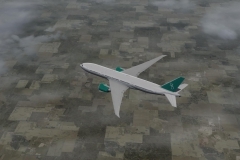 After a complete reinstall of my laptop to upgrade P3D to 3.4, I experienced issues with Texture loading (as displayed here). 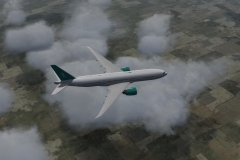 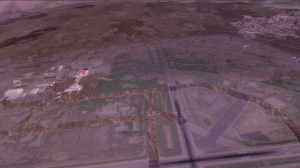 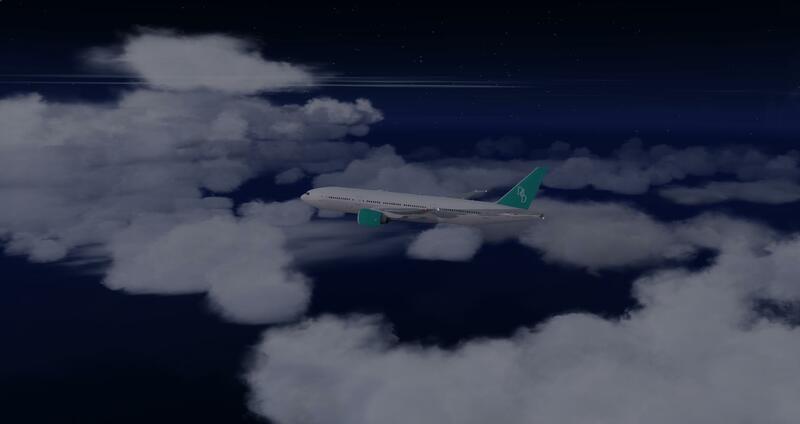 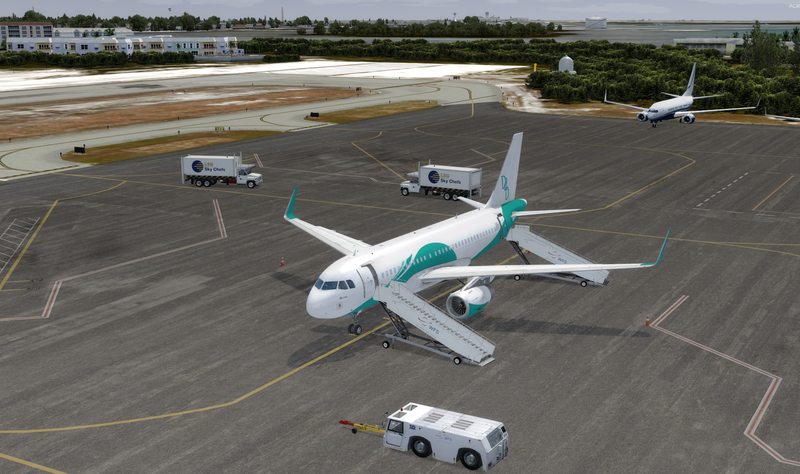 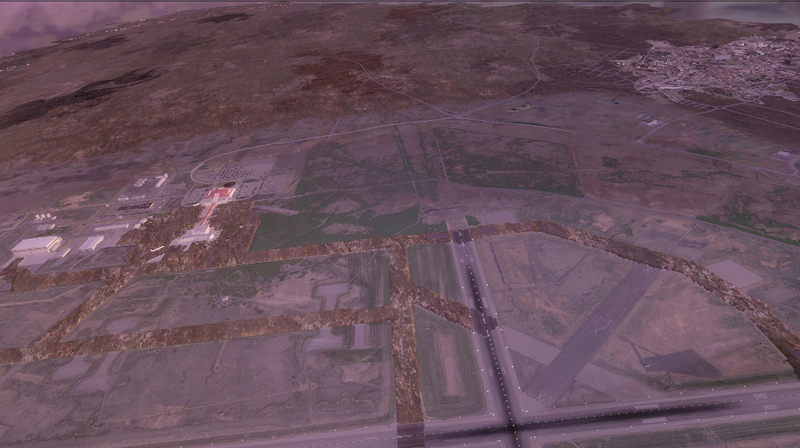 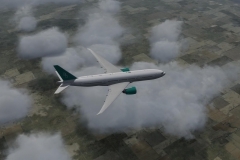 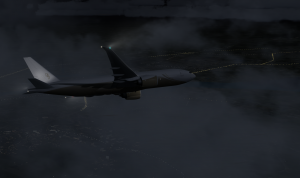 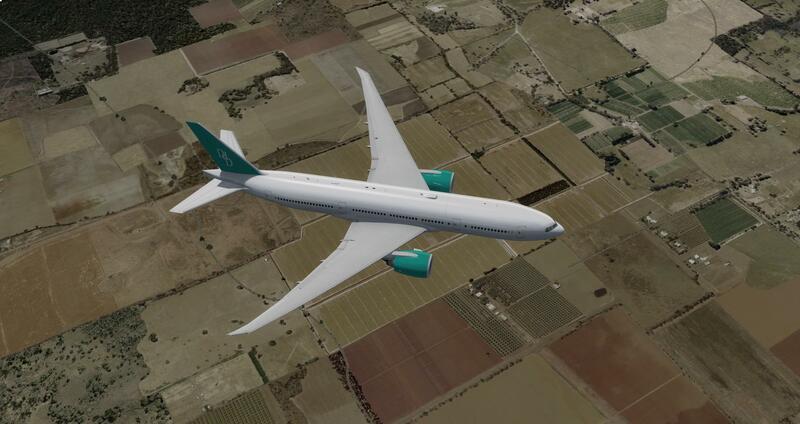 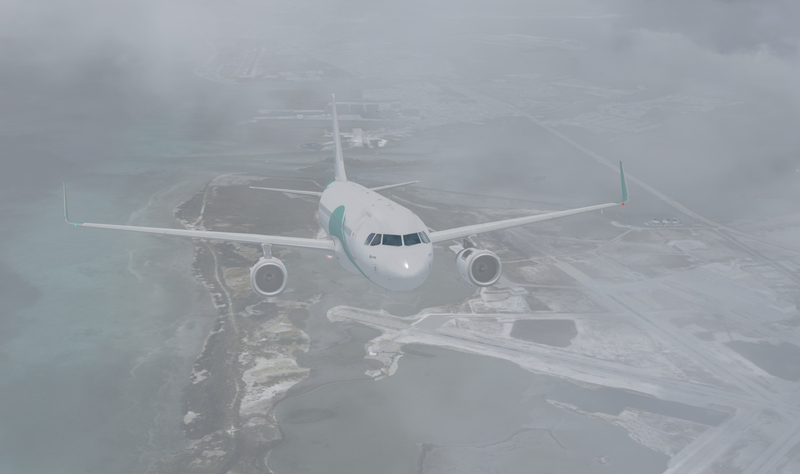 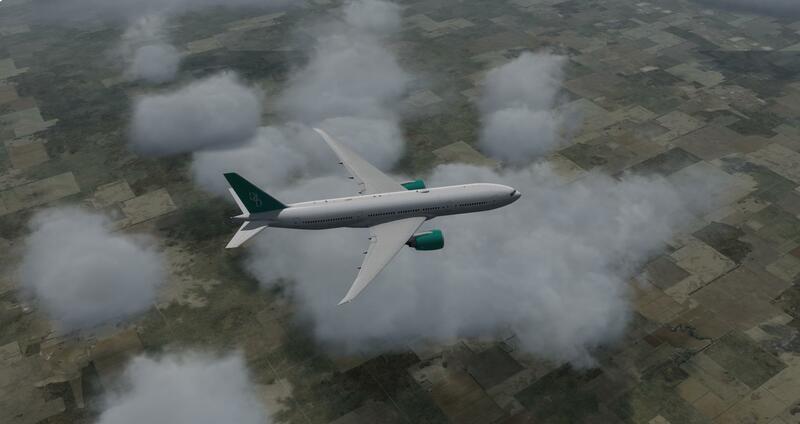 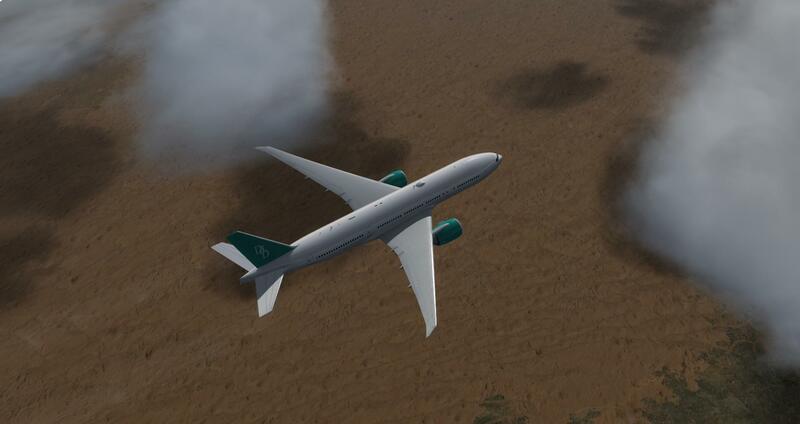 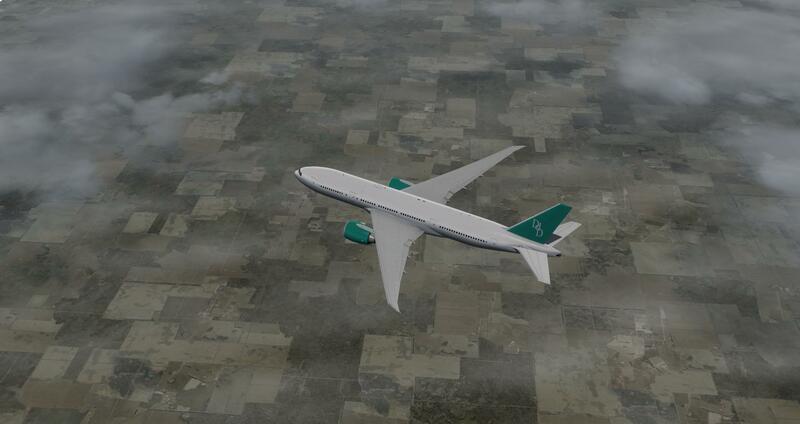 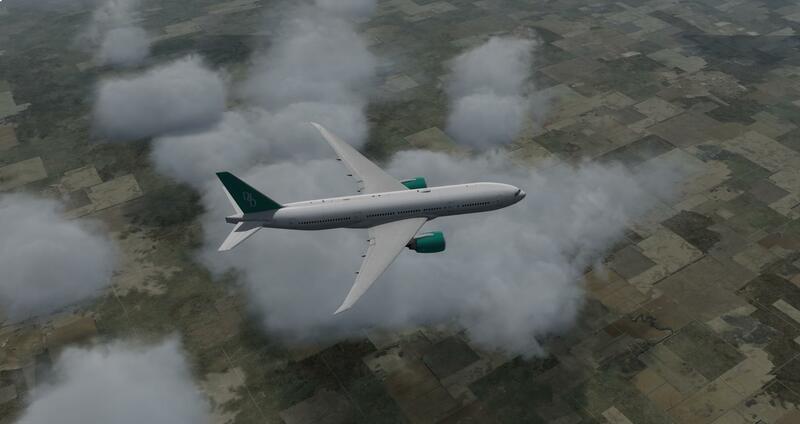 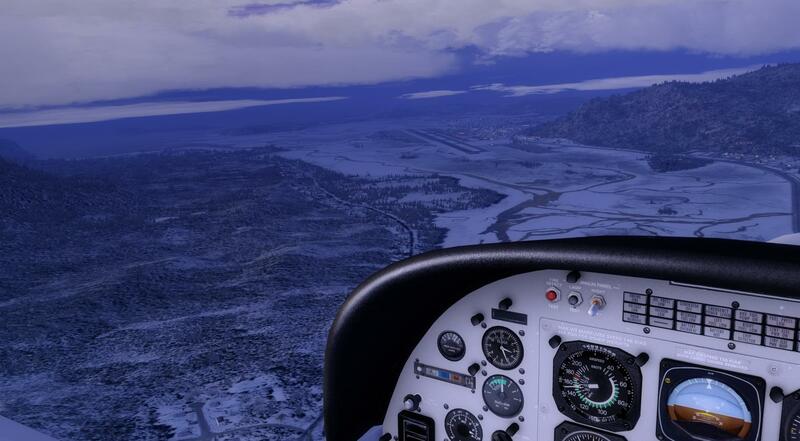 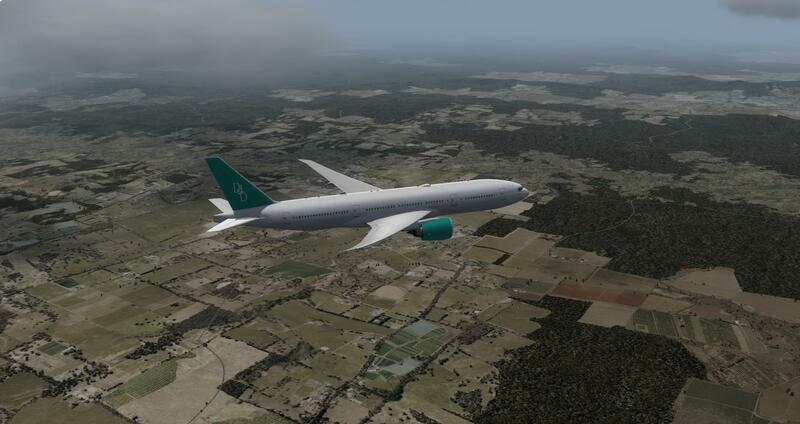 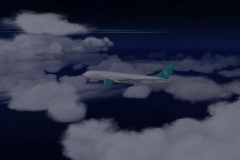 But after testing (changing my setting one by one, reinstalling, installing all my ORBX stufffs, testing…. 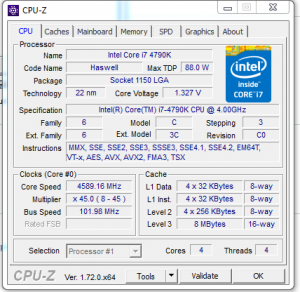 I finally found what causing the issue. 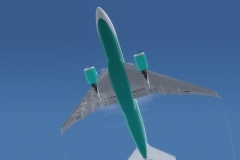 I experienced that it’s better to let this information and put 0 for AffinityMask than remove it to avoid some other addons like (Addon Manager in my case) adding something else. 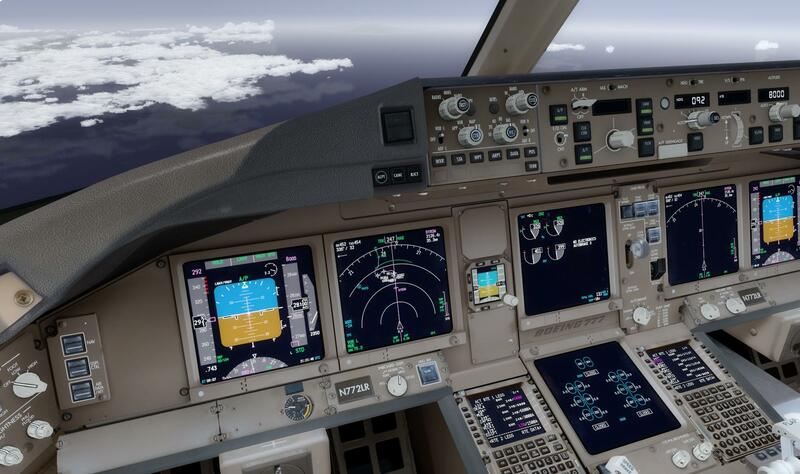 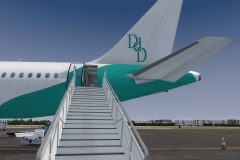 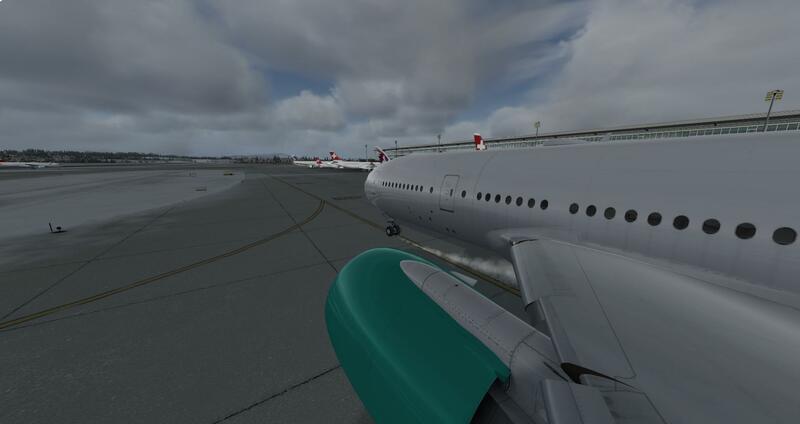 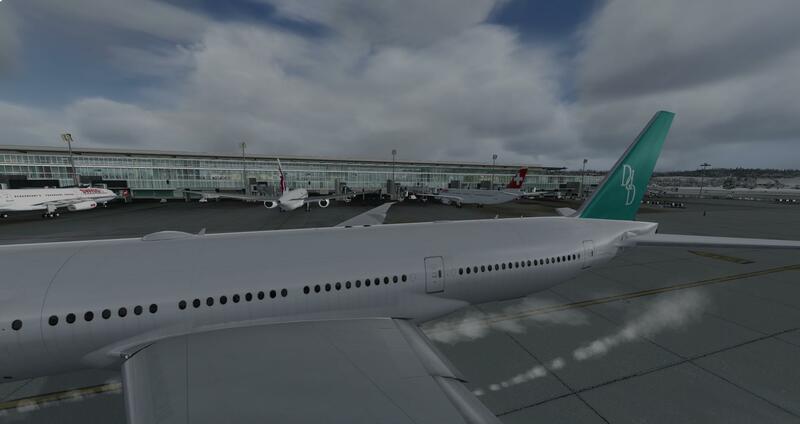 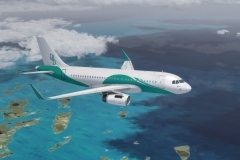 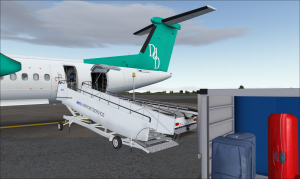 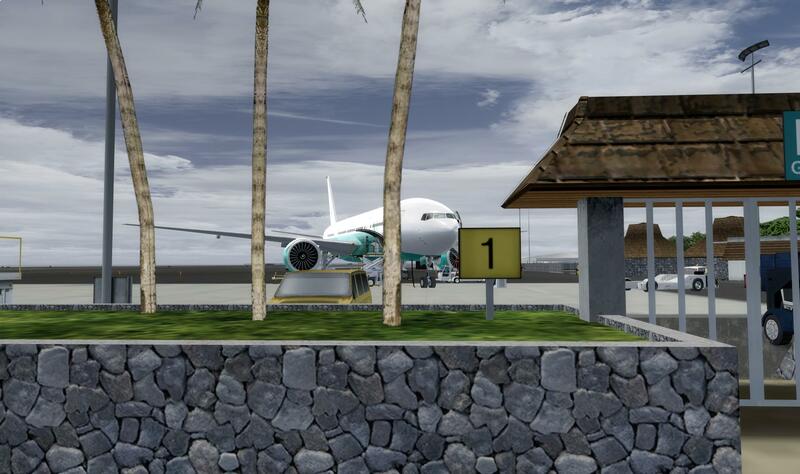 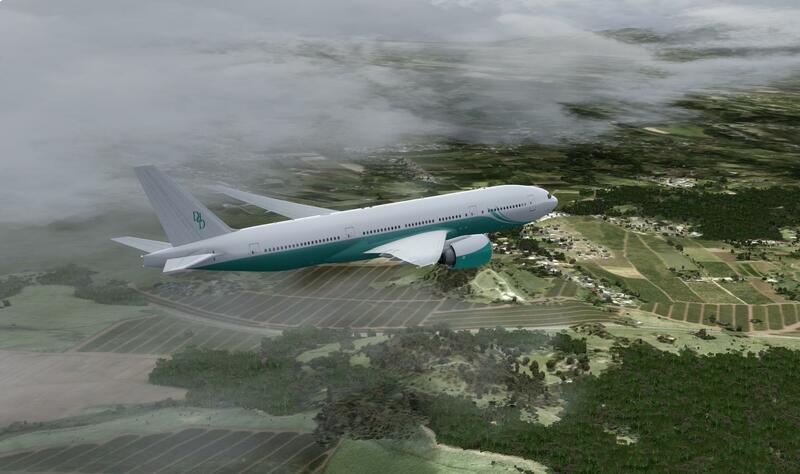 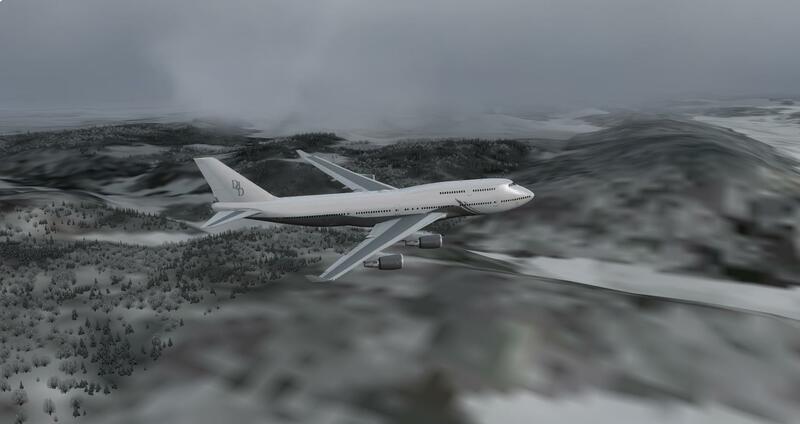 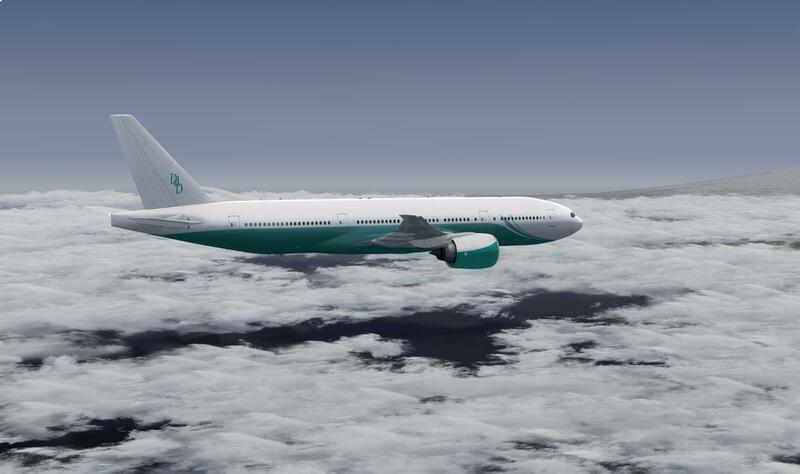 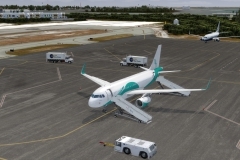 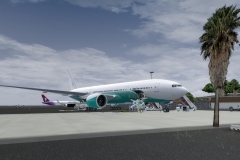 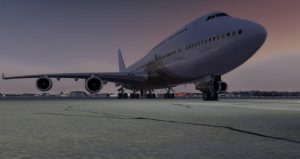 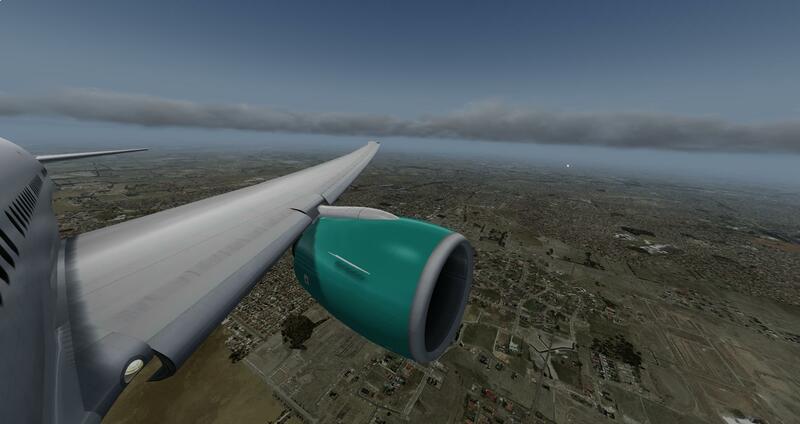 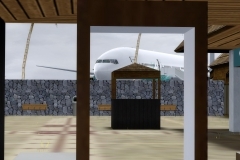 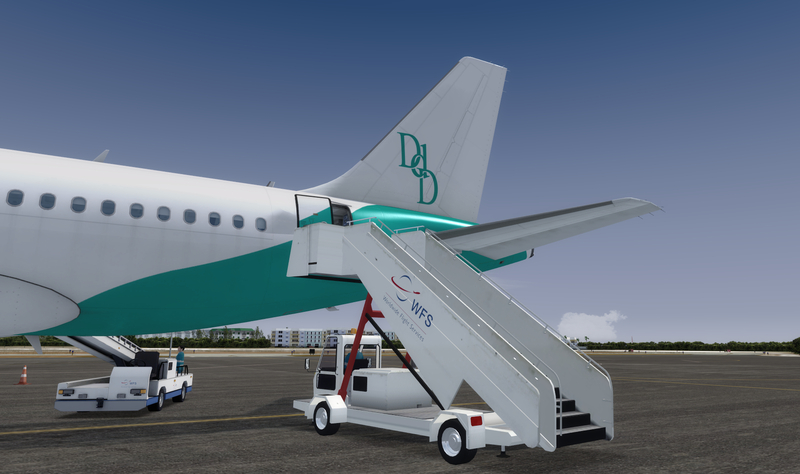 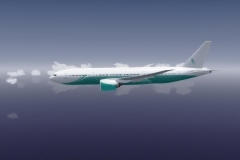 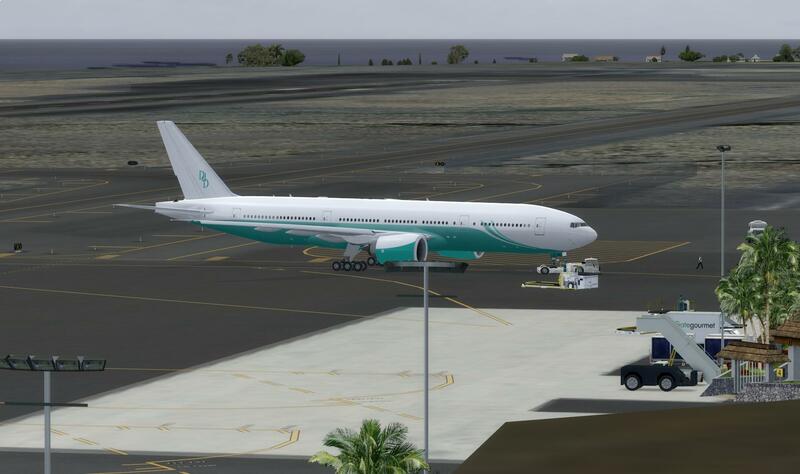 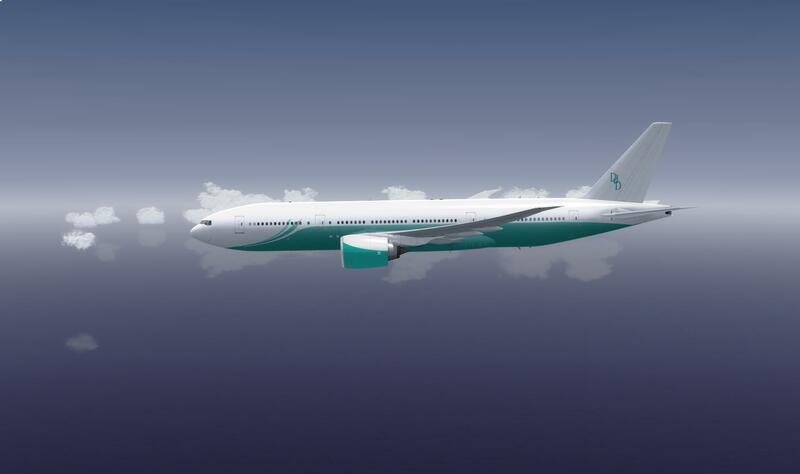 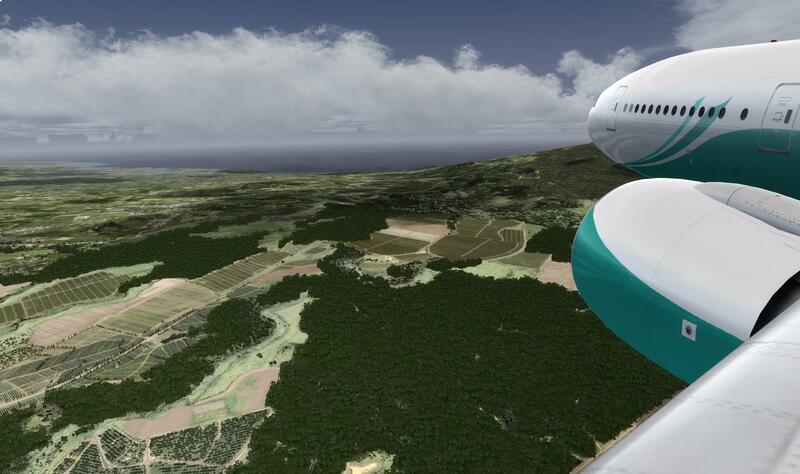 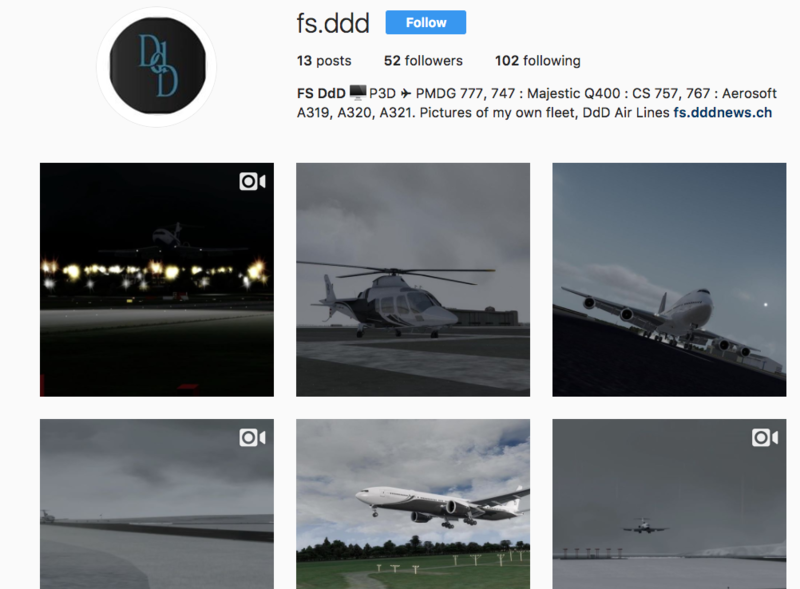 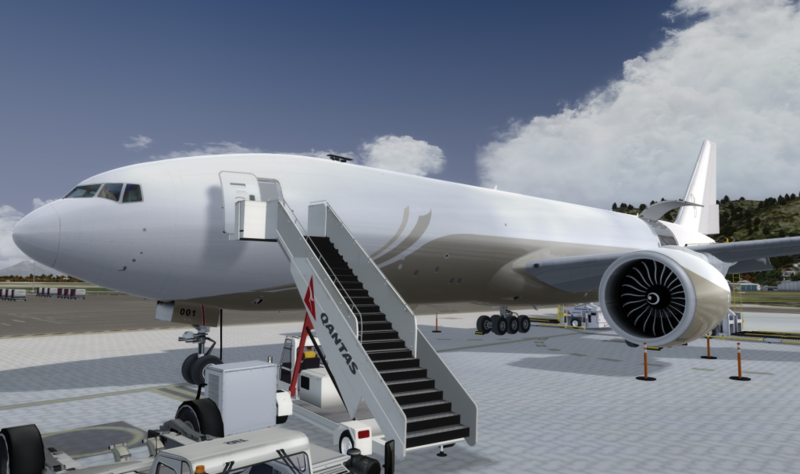 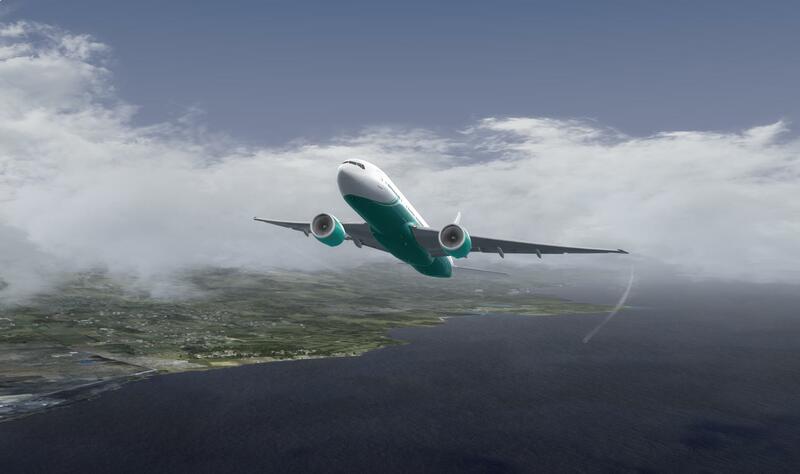 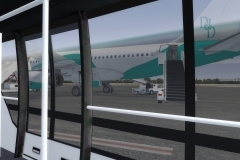 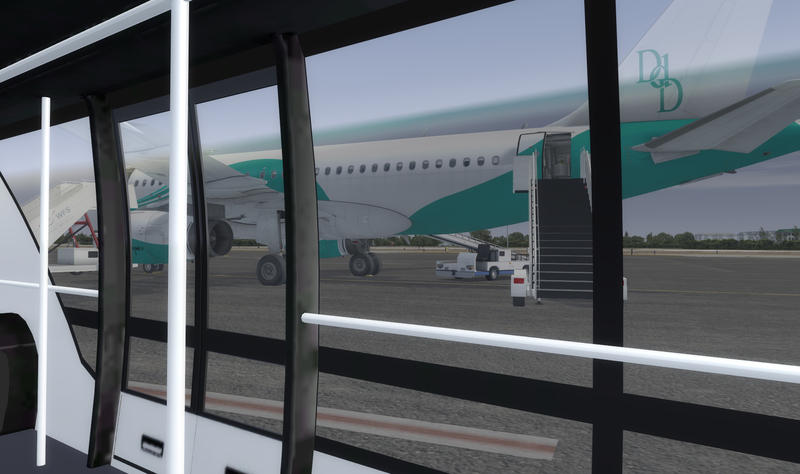 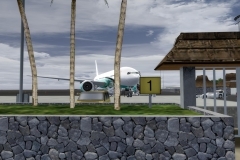 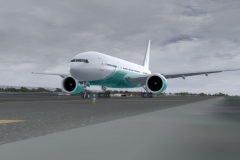 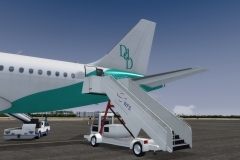 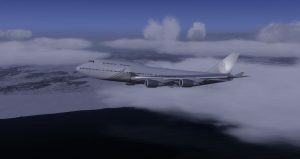 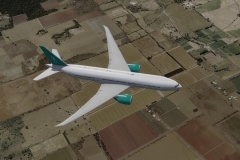 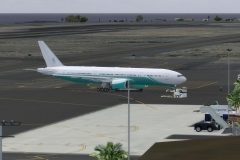 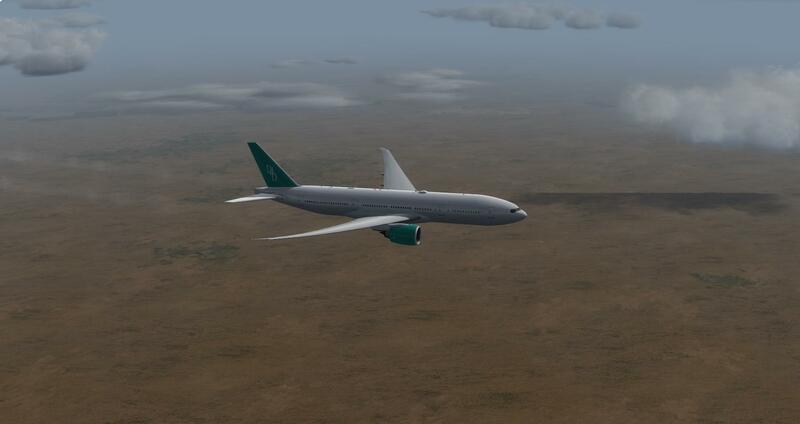 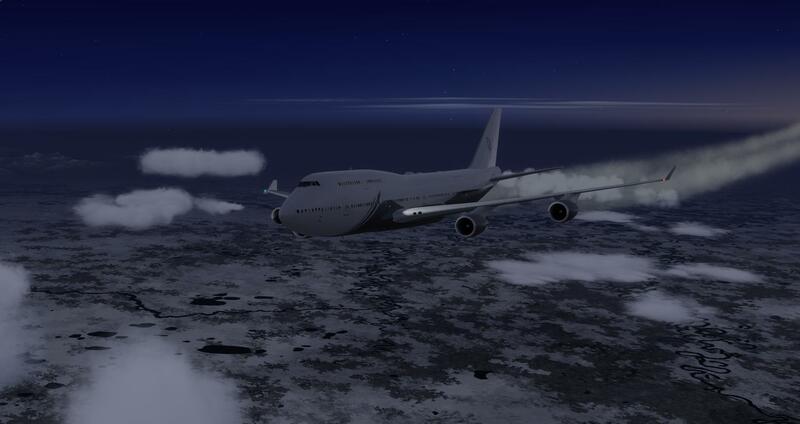 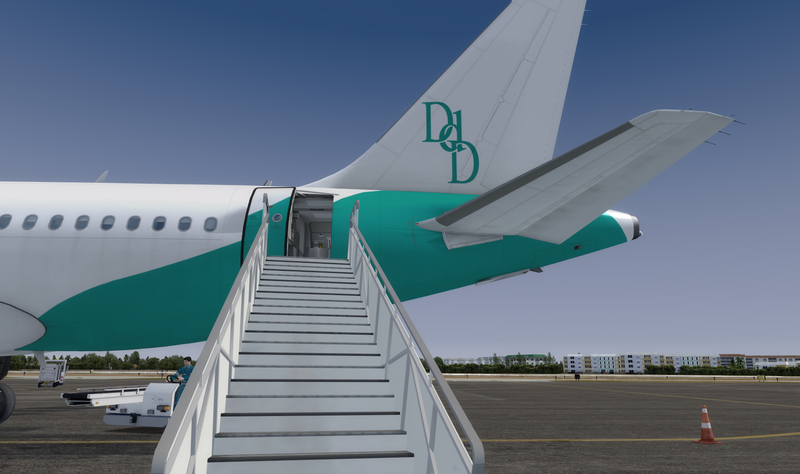 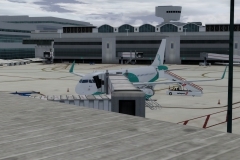 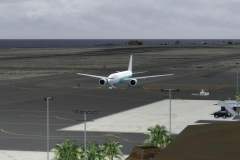 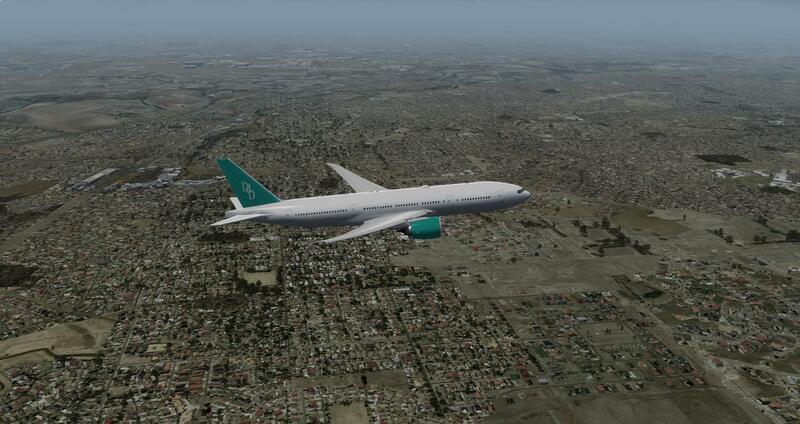 DdD Business acquiert a new Birds, from PMDG, the new PMDG 747-400 Queen of the Skies II V3! 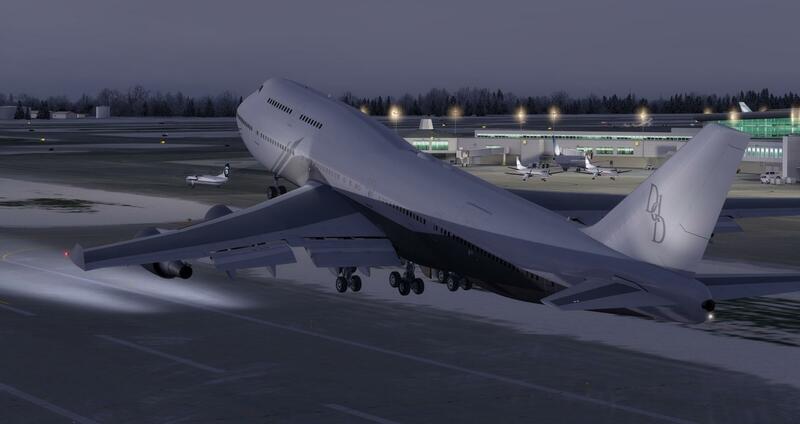 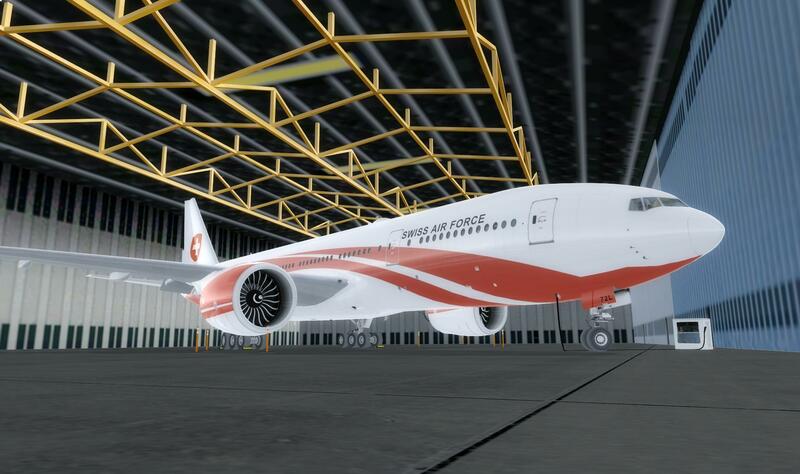 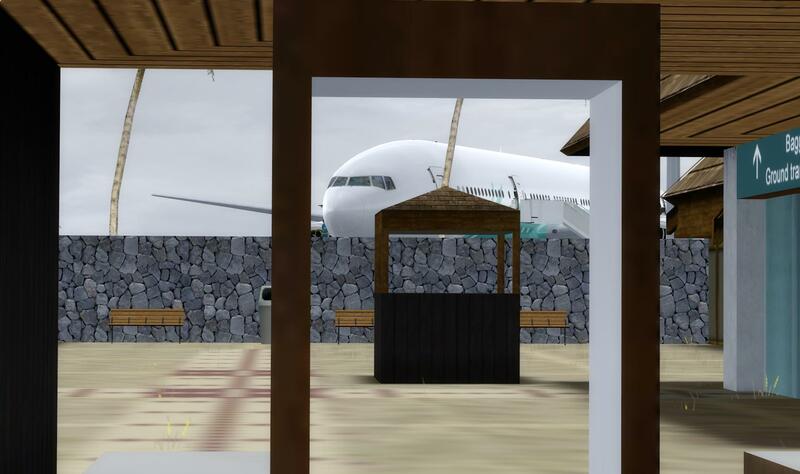 The model selected for DdD Business is a B747-400M with General Electric CF6-80C2B1F. 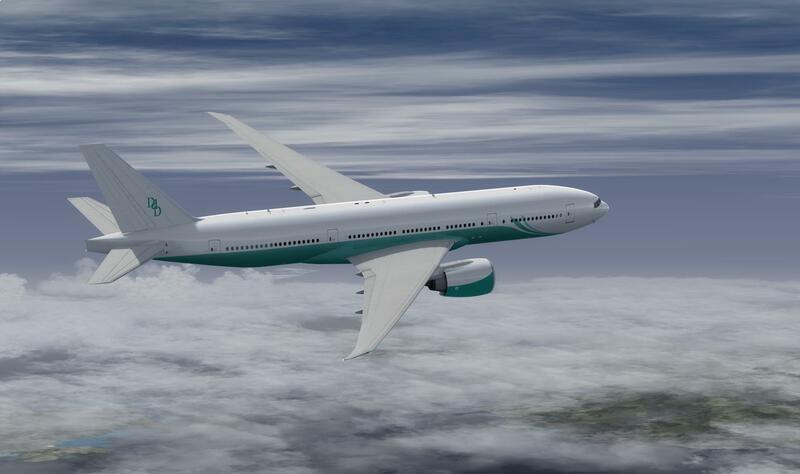 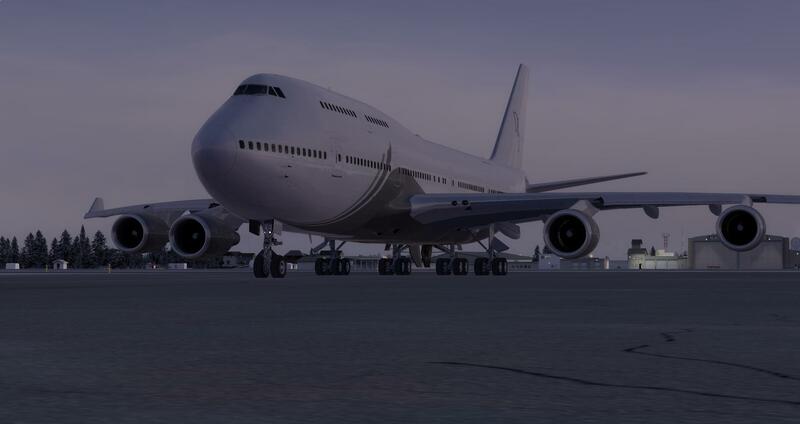 B747-400M / Combi model is selected to be able to carry an important quantity of freight and a reasonable amount of passengers in the same time. 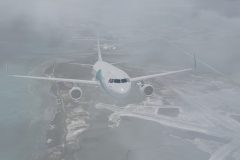 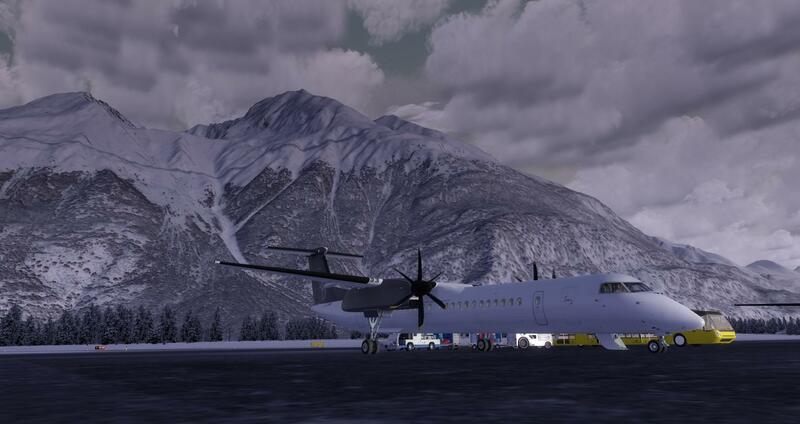 First flight was Anchorage PANC to Zurich LSZH as the plane was located there from its previous operator. 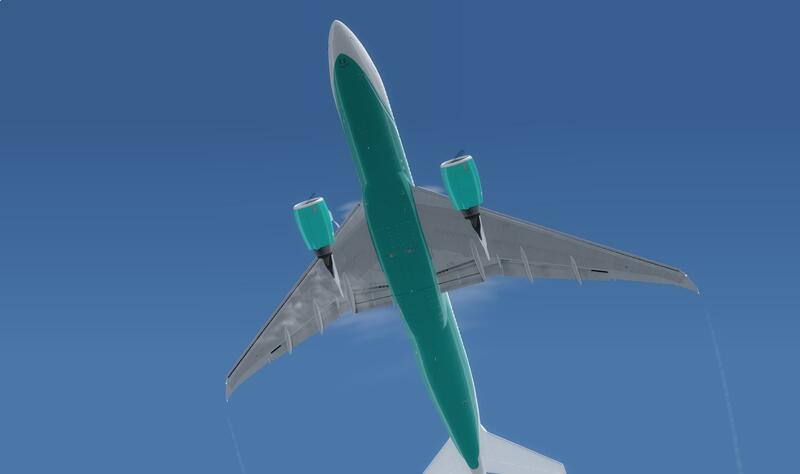 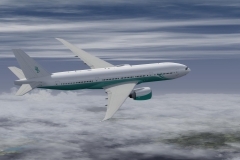 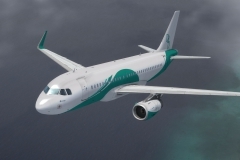 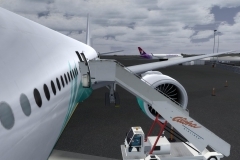 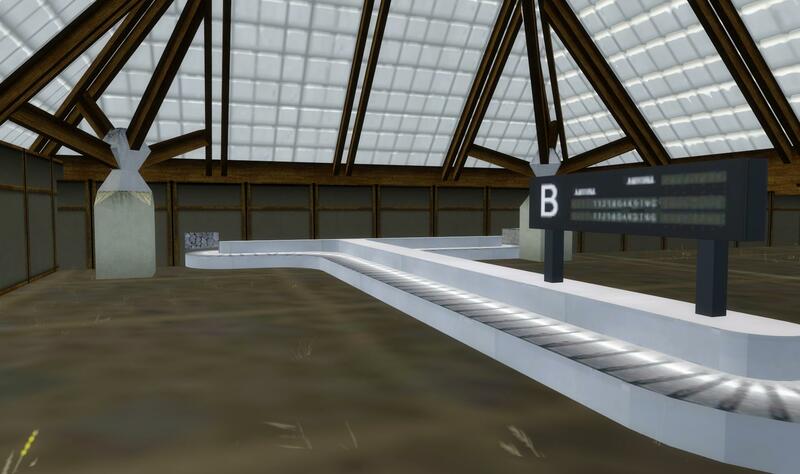 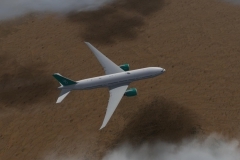 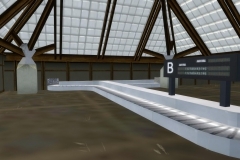 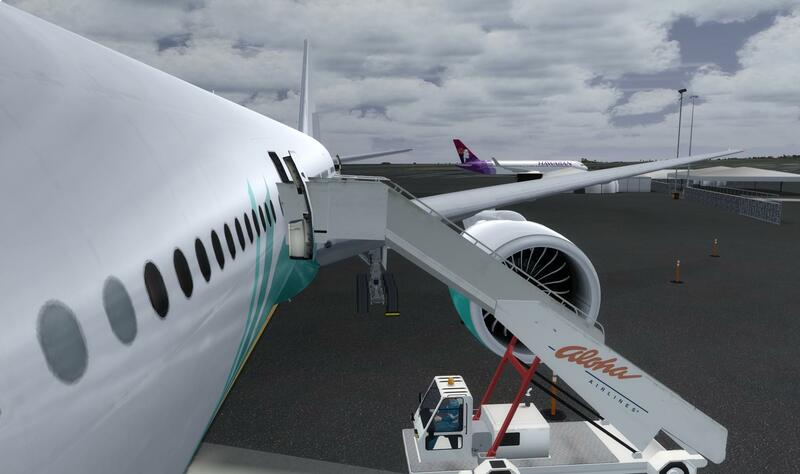 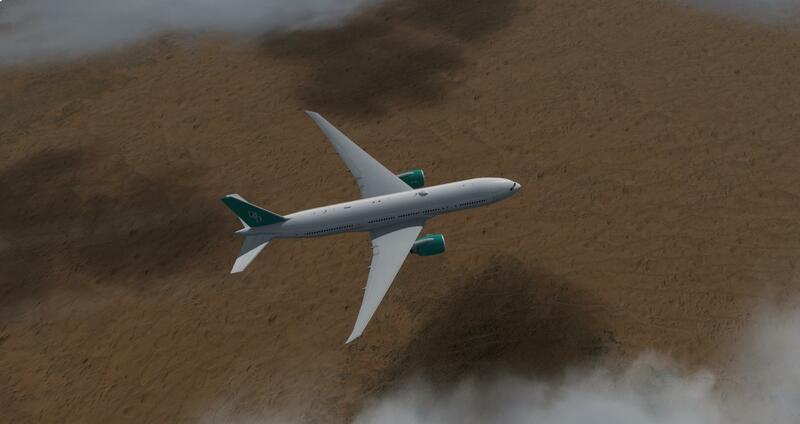 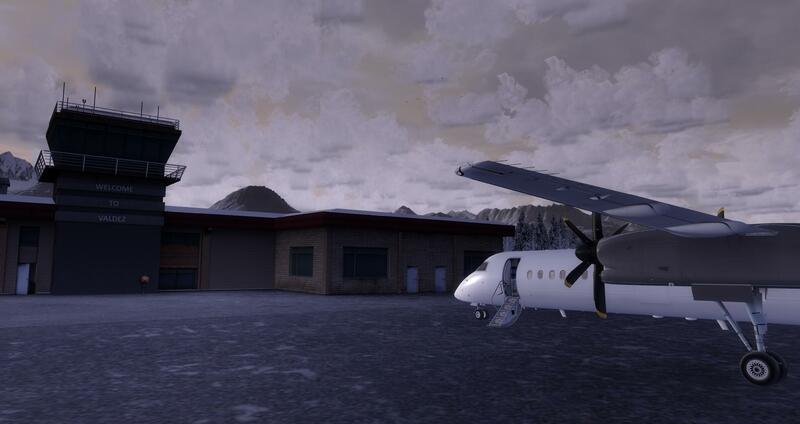 New Hub for DdD Air Lines in Alaska. 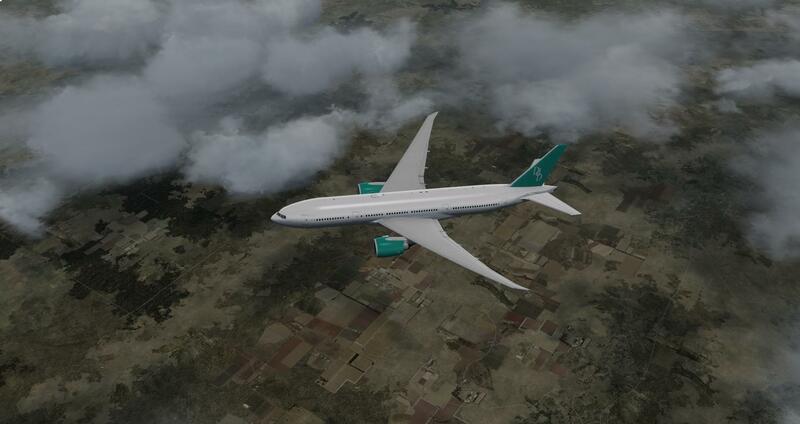 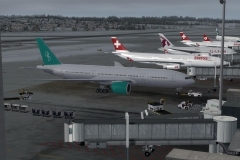 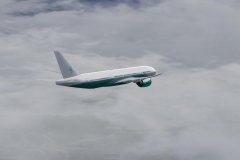 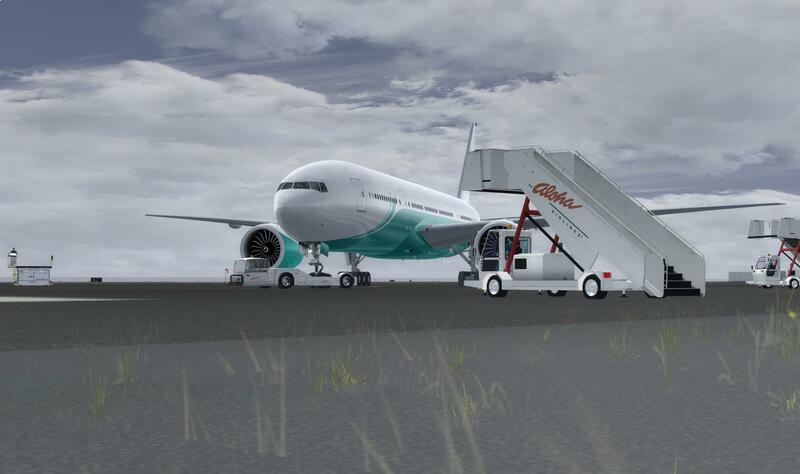 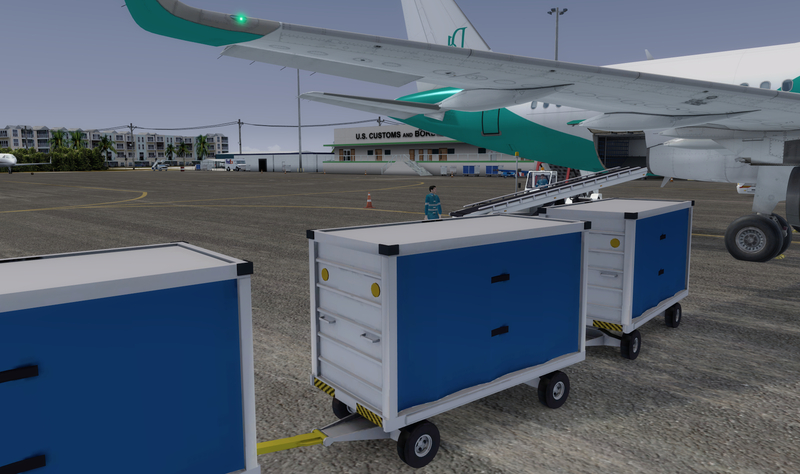 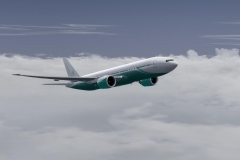 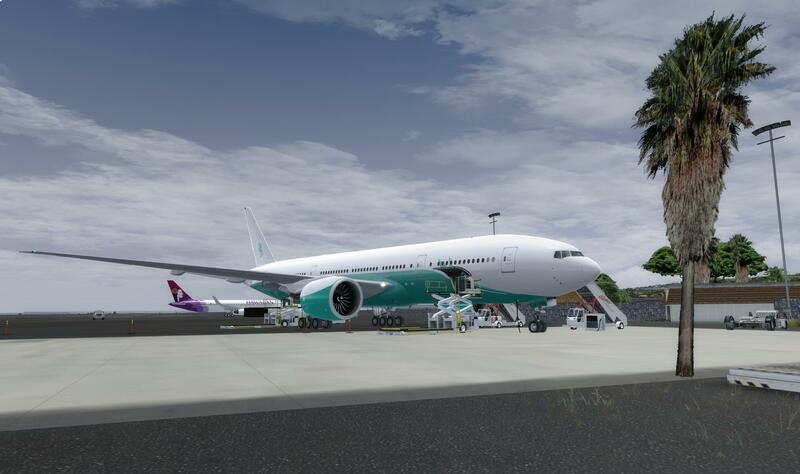 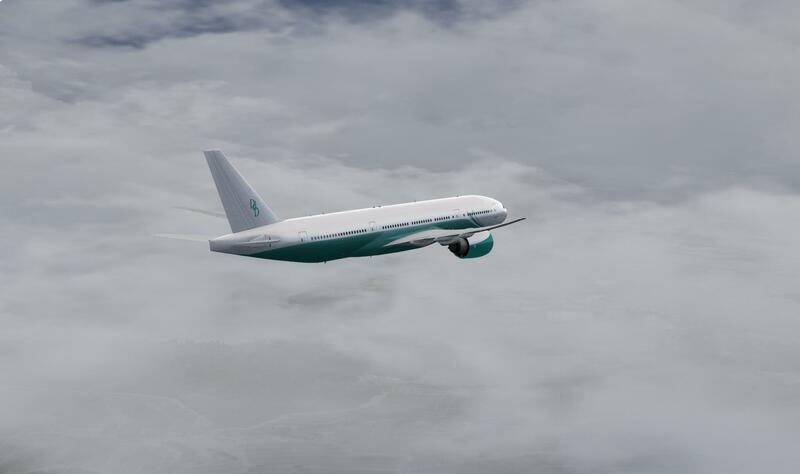 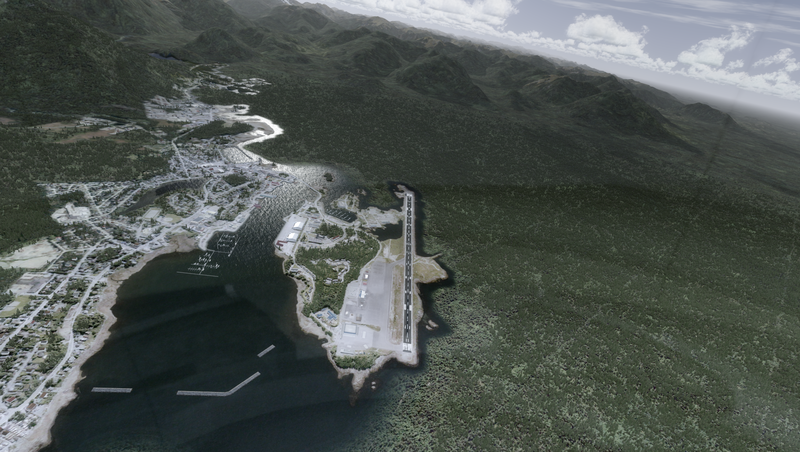 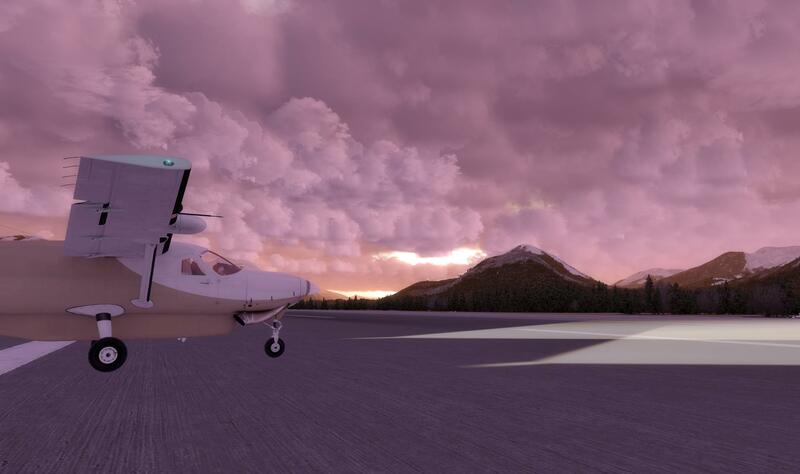 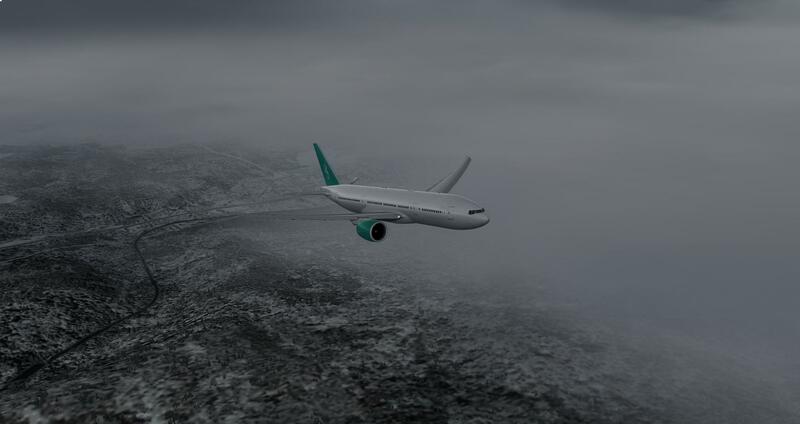 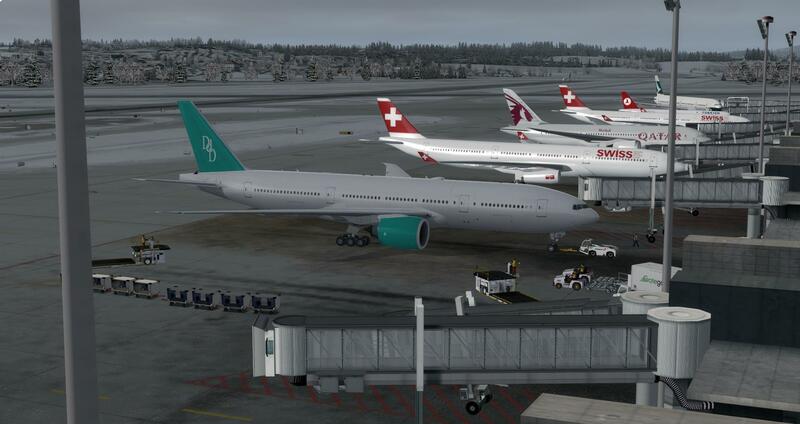 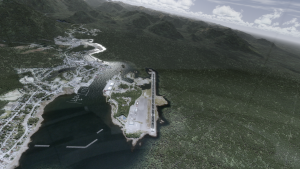 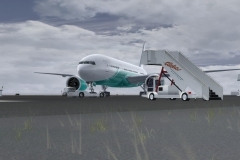 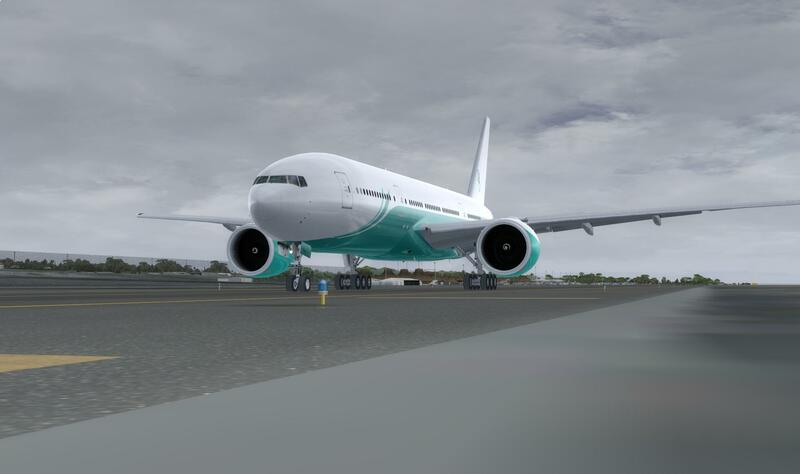 Our bew Hub in Juneau PAJN (ORBX) will be the olateform for pax and cargo flights for FSaddon Fjord Tongass addon and PAYA and PAVD airport from ORBX. 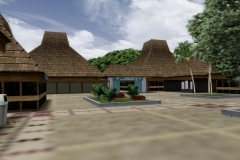 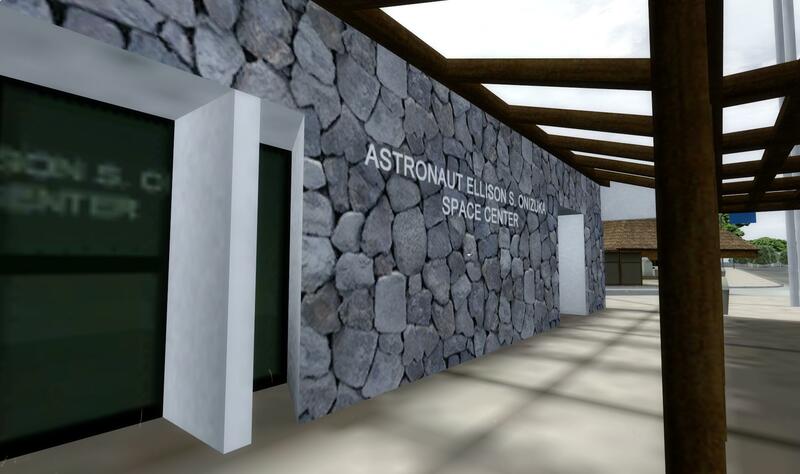 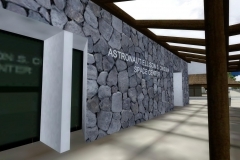 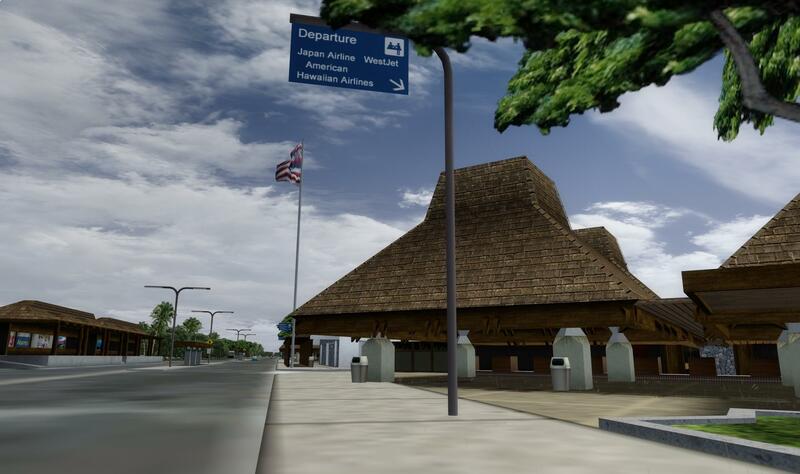 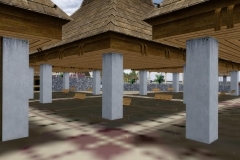 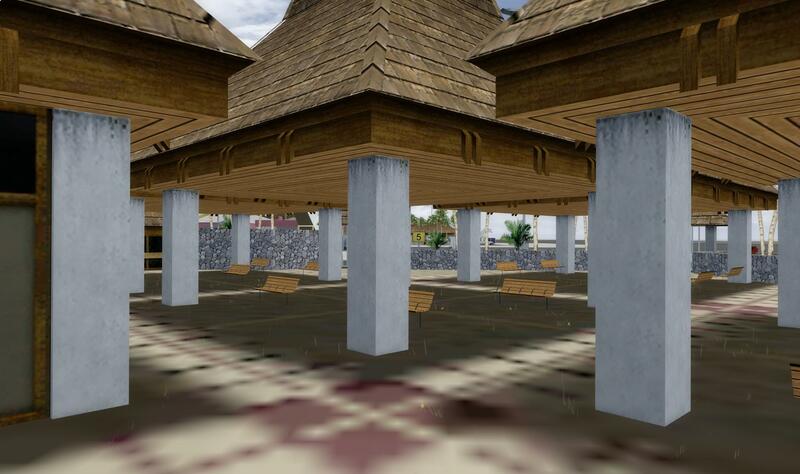 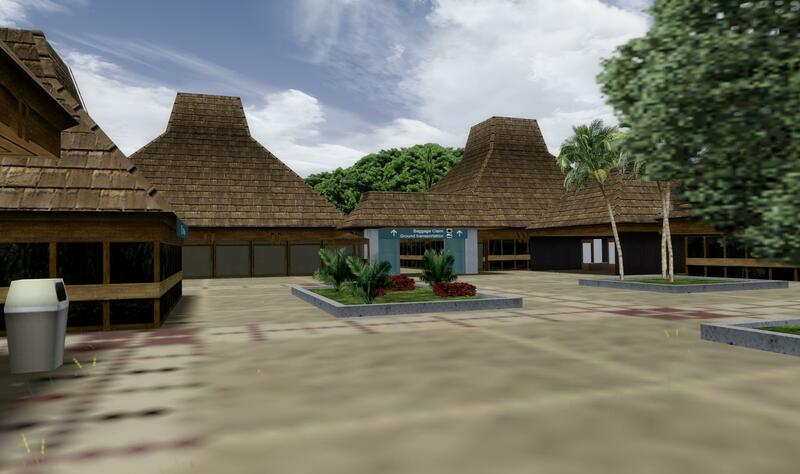 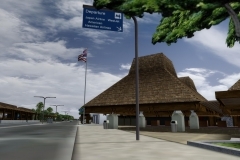 We are going to open a new hub in PANC to cover the west coast of North Amercia. 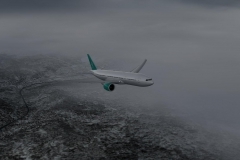 During our last mission to Antarctica, our B757 HB-DDC had technical issue with pressurisation and Autopilot system what delayed the mission . We finally found spare devices in Atlanta airport, where is the HUB of Delta airlines which is the bigger user of B757.